4.2 out of 5 based on 33 bloggers and 1 commenters. 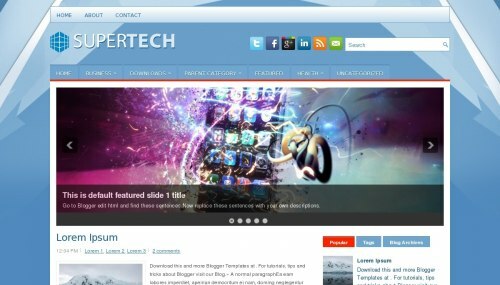 SuperTech is a free blogger template adapted from WordPress with 2 columns, right sidebar, footer columns, slider, social bookmarking icons, posts thumbnails, tabs, drop down menu, geometric motifs and 3D effect. The new real estate company in Bangalore named Supertech Micasa Bangalore with comfortable rates.